I had the pleasure of working with Maggie Inc.'s Rachel Donnellan on this summer-inspired editorial shoot for July 4th! Come along with us as Rachel, with curls in her hair and a sun-kissed glow, becomes one with nature in the cool shade of the lush ivy walls of Boston. Ending the day with a vanilla cone from Frosty's Ice Cream Truck at the Public Garden is the right thing to do! Hope everyone has a safe and happy long weekend!!! Hair and makeup by Kashmir Asvaraksh. 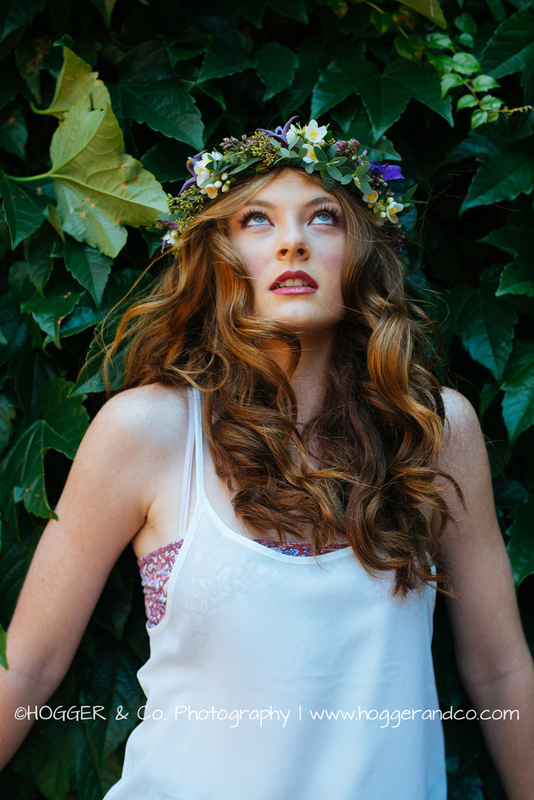 Flower halo by Wild Folk Studio. I recently photographed the beautiful "A" who wanted a boudoir session to gift to her man. Looking radiant, with hair and makeup by Latha Ramakrishnan, this girl BROUGHT IT.